ATVs, or All-Terrain Vehicles, are commonly used as recreational vehicles these days and often by children who aren't yet old enough to have a driver's licenses. In Iowa, ATVs are common on farms and in rural towns as modes of transportation over short distances as well as for simply having fun. Children drive these vehicles sometimes without supervision and often without proper training or knowledge of safe driving. Children and young teens are unaware of the dangers of driving ATVs which can easily result in a life-altering accident. 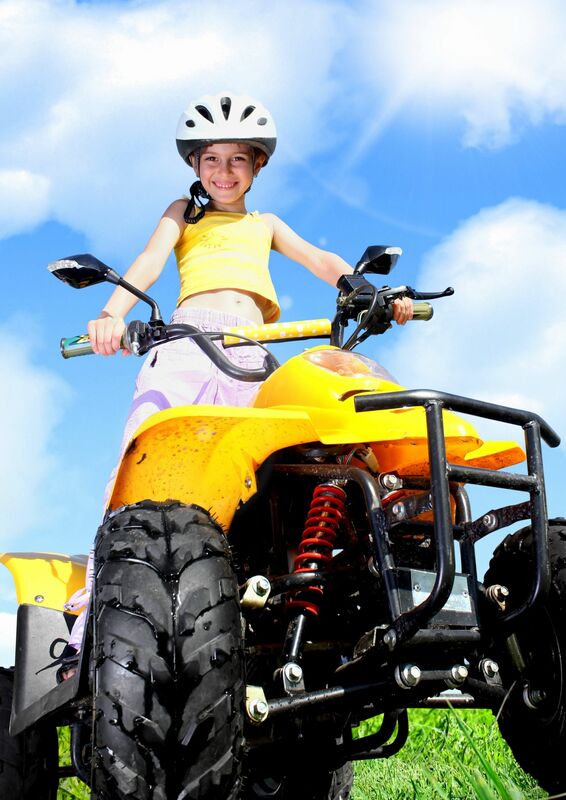 Al too often, children are too young and don't have the necessary skills and muscle to manuever a powerful ATV, or to react quickly to avoid an accident. Drivers and riders also rarely wear helmets so that if a crash were to occur, they would be unprotected from significant bodily injury. Some people also overload the ATV with more people than the vehicle was designed to carry, leading to unsafe conditions for all people on board. If children are allowed to drive ATVs, it should be done under adult supervision, with proper training, and at safe speeds to prevent significant injury or death.